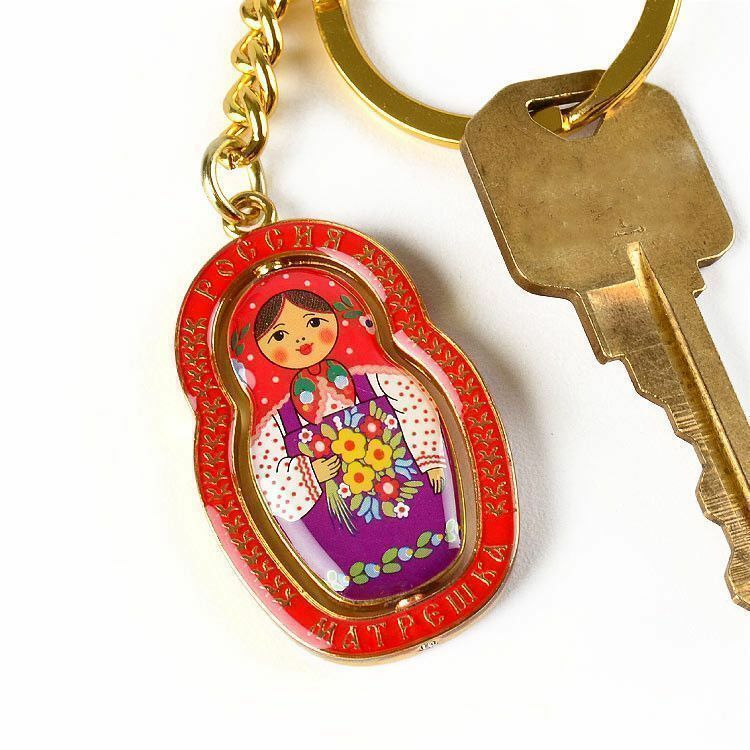 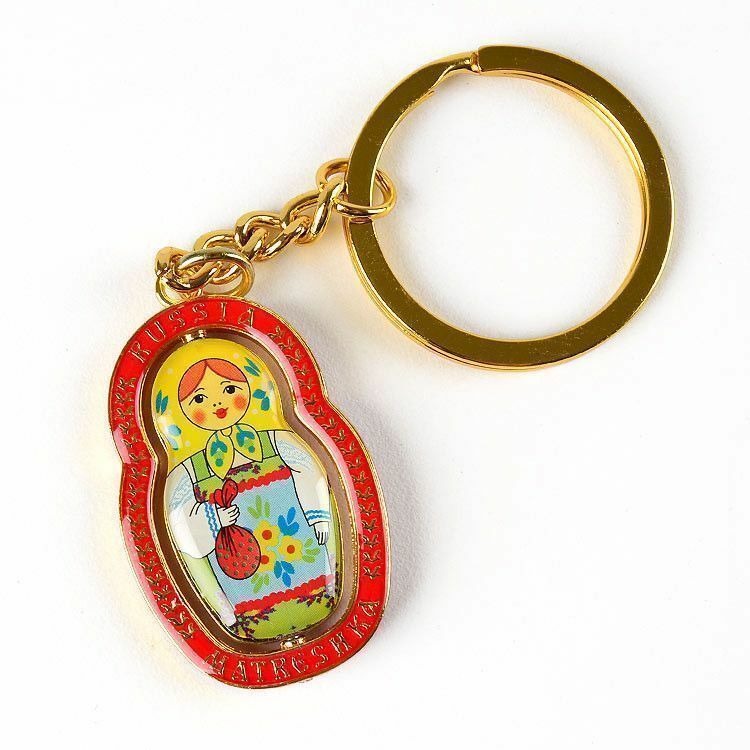 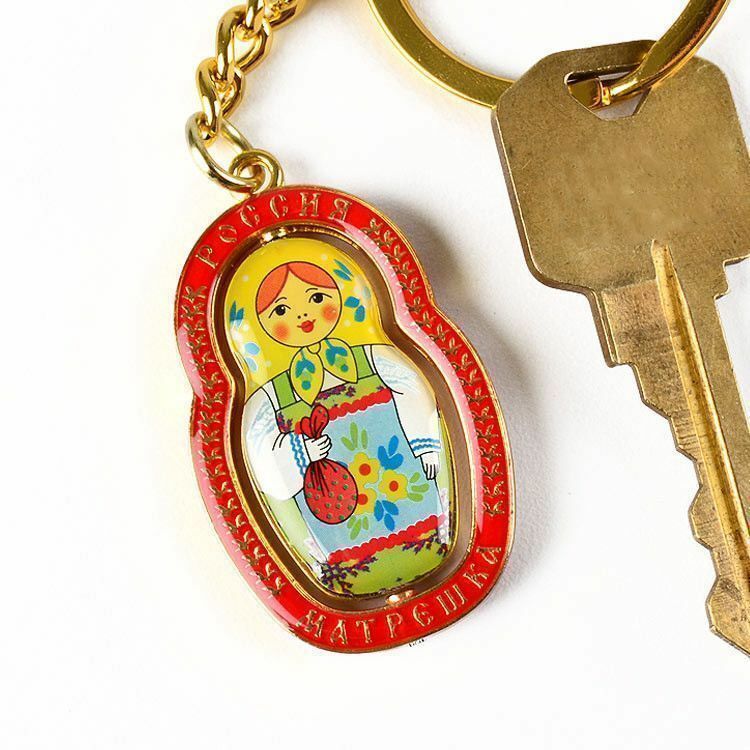 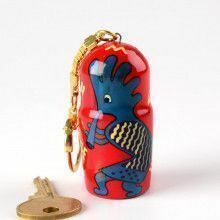 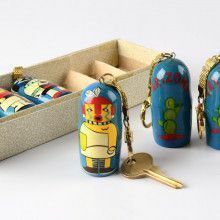 This fun keychain showcases a brightly colored nesting doll design, that freely turns about inside of a fancy border which says "Russia" at the top and "Matreshka" on the bottom (One side in English, the other in Russian). 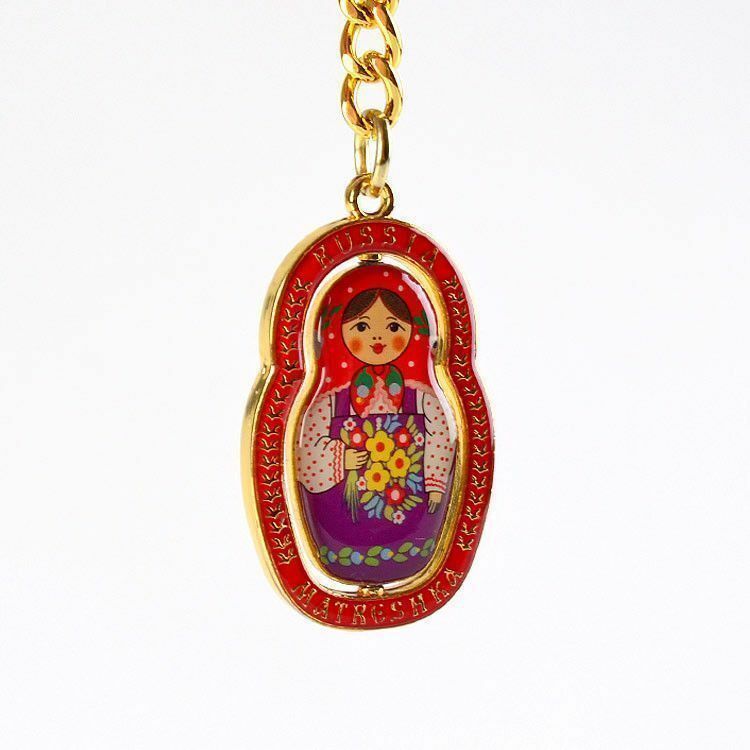 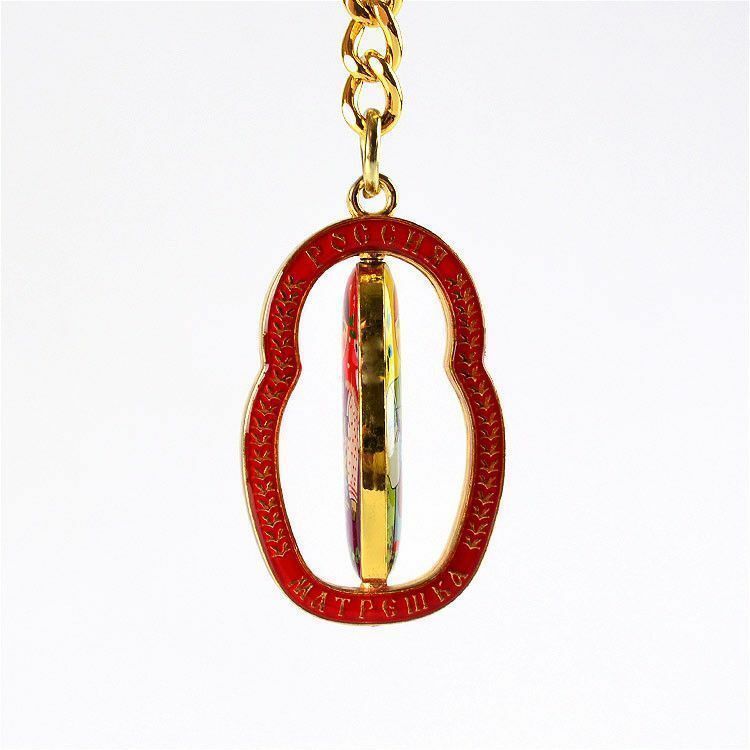 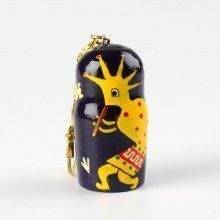 This matryoshka souvenir came straight to our store from Russia, and it makes a wonderful gift. 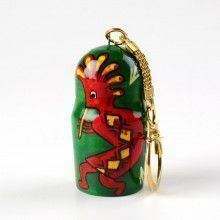 Colors may vary slightly from the photograph.